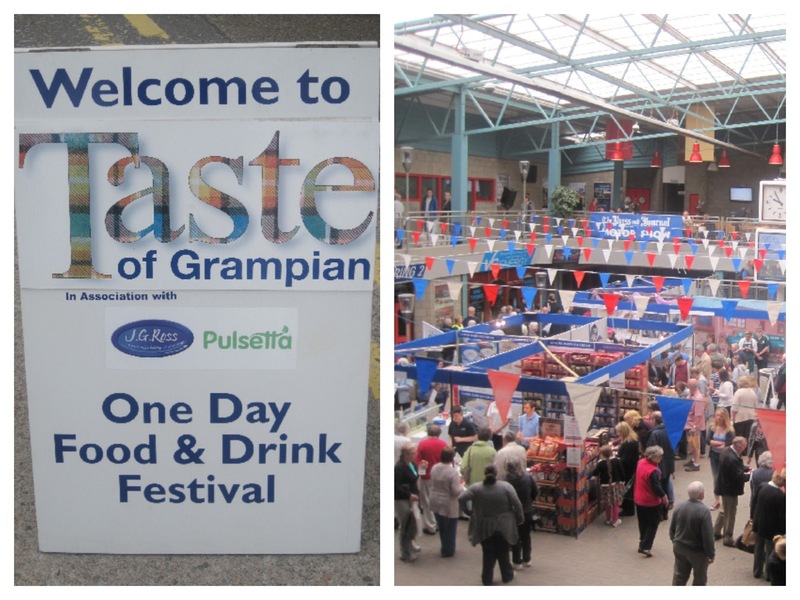 What a great day out we had at Taste of Grampian Food Festival on Saturday. I've been a fairly regular attender since the event kicked off fourteen years ago but due to a date clash haven't managed for the last couple of years. There's certainly been changes for the good in the interim. 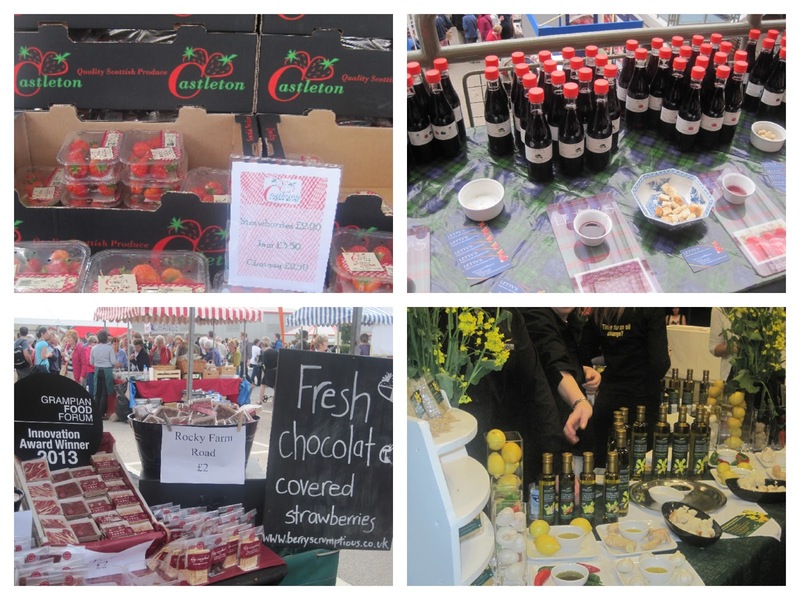 It's a fantastic showcase for the amazing produce and producers we are lucky to have here in Aberdeen, Aberdeenshire and beyond. 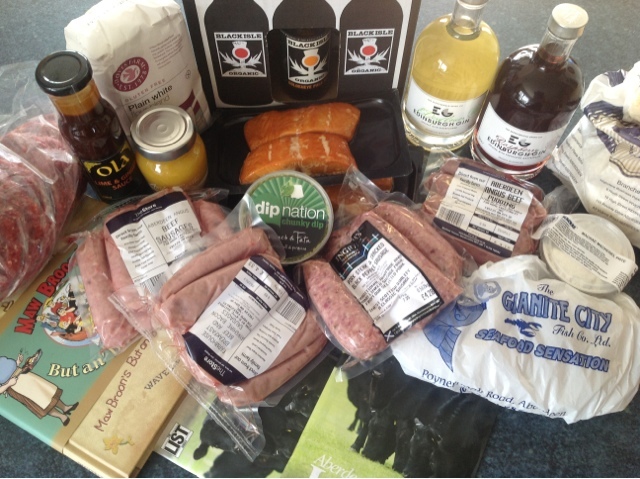 A bit of a back-to-front post as I'm kicking off with my haul of foodie goodies from the day. I was actually quite restrained in my purchases and could have bought a lot more. Lets get the booze out of the way first. 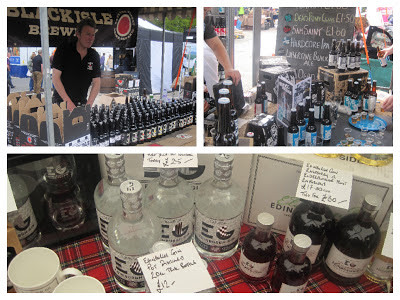 Foodie Loon made a beeline for the Black Isle Brewery stall. He knows what side his bread is buttered on as he's married to a Black Isler. I'm a brunette but do allow him to indulge in a Blonde from time to time. I was more taken by the selection of Edinburgh Gin on offer and had a taste of both the Elderflower and the Raspberry. Couldn't decide between them so bought both. Wonderfully summery flavours that will go as well with Prosecco as they will with Tonic. Chin Chin. We were headed for a BBQ in the afternoon so sourcing some goodies for that was top of our shopping list. The Store had stalls both inside and out and we stocked up with speciality sausages. A further pack of Sausages from Ingrams Homecure and some Venison Burgers from Simpson Game completed the meaty haul. Needed something to put them on so softies from JG Ross the Bakers were procured. Was very surprised, and somewhat delighted, to find out that the Aberdeen breakfast favourite the Buttery isn't nearly as calorific as I had thought. 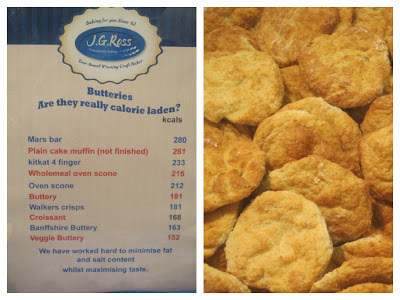 I always had assumed it to be at least 500+ calories but turns out that its a much better choice than a Mars Bar. It was a scorcher of a day in Inverurie so we cooled off with some Mackie's Ice Cream and girl stocked up on her favourite Haggis Crisps. Delighted to learn that the 40g bags will be available to purchase in supermarkets very soon as have had trouble tracking them down. Girl was delighted that Jamie at Cocoa Ooze recognised her from her Chocolate making Birthday Party when she made a beeline for his stall to buy orange chocolate buttons. It was impossible to miss a couple of V.I.Peas wandering around the event and boy was chuffed that they posed for a photo with him. Pulsetta is a new range of naturally gluten free breads and rolls made with milled peas and lentils. I never actually managed to try any of their products on the day - so many samples, so little time - but will be tracking them down. I've heard that the chilli rolls are especially good. One of the first things we tasted when we arrived was a new limited edition Mango and Passion Fruit Curd from Baxters. Absolutely loved this and have plans to use it in a Pavlova whipped into double cream and topped with the same fresh fruits. Alas we were too late in visiting Berry Scrumptions as all the Chocolate Coated Strawberries had sold out. I did buy something but can't share what it is for now as its a Fathers Day pressie. Shhhh. Lots of new products were being launched at the event one of which was a Lime and Ginger Sauce from Ola Oils which completely sold out so I was lucky to get me a bottle. Haven't had a chance to use it in my cooking yet but have seen high praise for it on Twitter combined with pork loin and in a chicken stir fry. Scotland can be a very small place as I found out when boy and girl took part in a hands on kids cookery demo by Fi Bird. As they got busy making Oaty Chocolate Treats and Fruit and Oat Pots, Fi came round with some foraged plants and they immediately identified the wild garlic. Impressed with their knowledge I explained that we had recently been on our First Foray into Foraging. At this point Fi brought out a copy of The Foragers Kitchen of which she is the author and I told her I'd already made one of her recipes as I'd seen it reviewed on Farmersgirl Kitchen blog. Small world indeed. 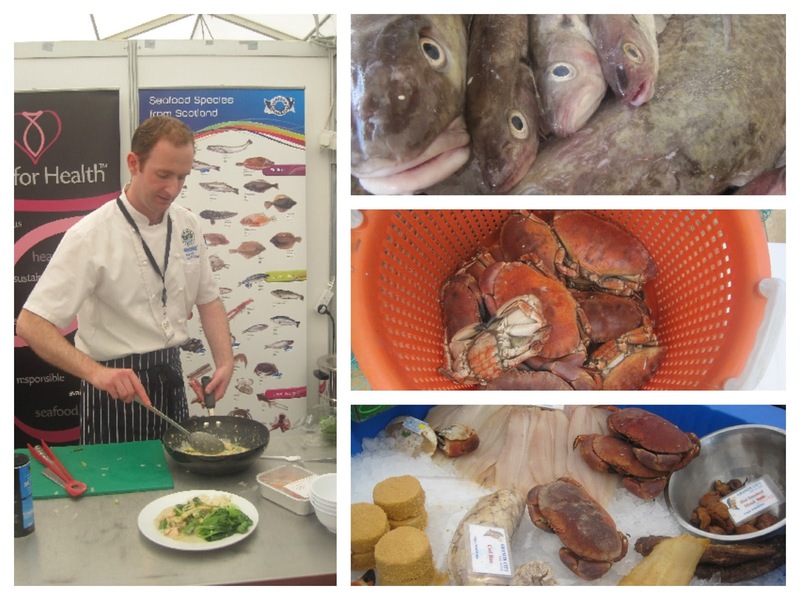 New for 2013 was a Seafood Marquee and if this year is anything to go by they need to order a bigger tent for 2014. It was chock a block in there with a fantastic selection of fishy offerings and ongoing cookery demos. 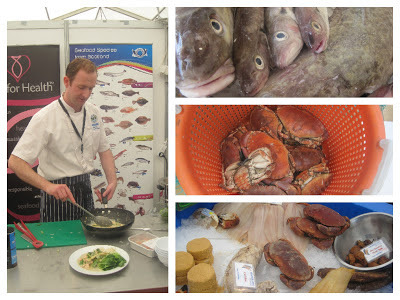 We watched Youngs Seafood cooking up a Thai Green Fish Curry and Dress a Crab. 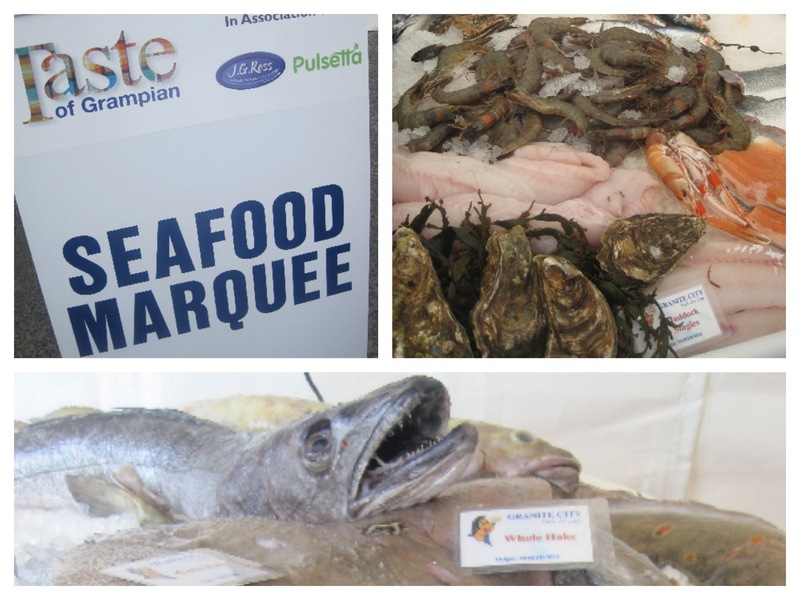 Our fishy purchases included Mackerel Pate and Honey Smoked Salmon from MacRae Foods and Natural Smoked Haddock from Granite City Fish. So much to see, do and taste we just didn't have enough time for everything. Celebrity Chefs Simon Rimmer, Nick Nairn and Lady Claire MacDonald were all doing demos. Mr Rimmer was looking very dashing in a very swish black kilt and manbag combo. The Festival also included music, kids entertainment and arts and craft stalls so there was something for everyone. Huge queues come lunchtime for the Hog Roast, Strawberries, Burgers and Fish & Chips. In the run up to the event I had been working on my first ever piece of proper real life paid for food writing as a contributor to The List guide to Aberdeenshire Larder. It was being launched at Taste of Grampian and it was great to see the end result and my first ever byline. 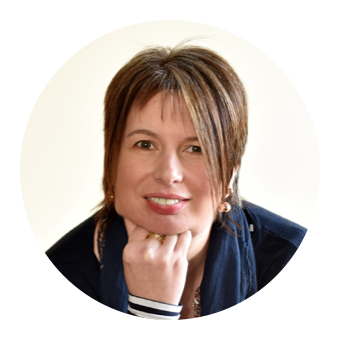 I do love to blog and blether food so if anyone else would be interested in me doing any writing don't be shy. I'll be very flattered to be asked and will most probably say yes. 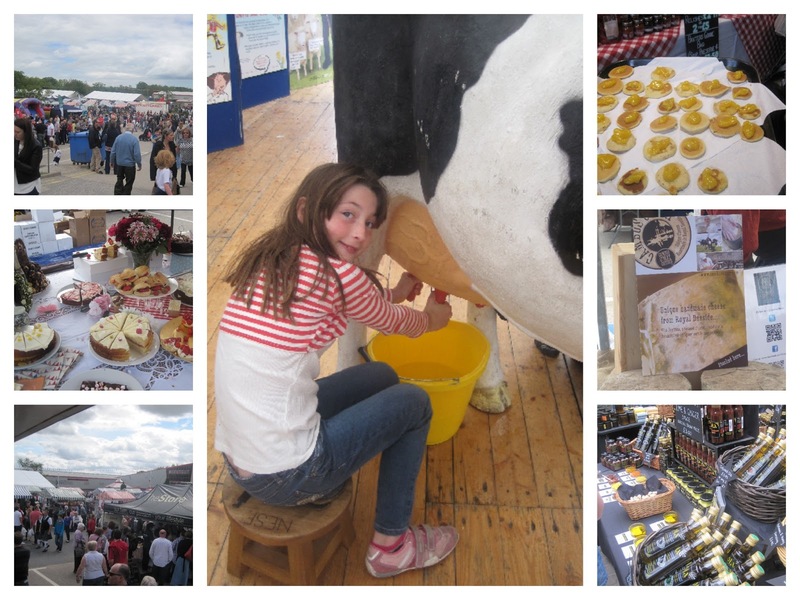 Two more festivals in my diary for this year are Crail and Huntly Hairst. Alas I don't think we're going to manage to make it to the Royal Highland Show this year so will keep it local instead. There's a great listing of all the food festivals in Scotland on The Grumbling Tummy blog. Check out if there's one near you and drop a quick email if there are any missing from the list. Thanks to Hazel I've already added Afternoon Tea on a Steam Train to my ever growing Bucket List. 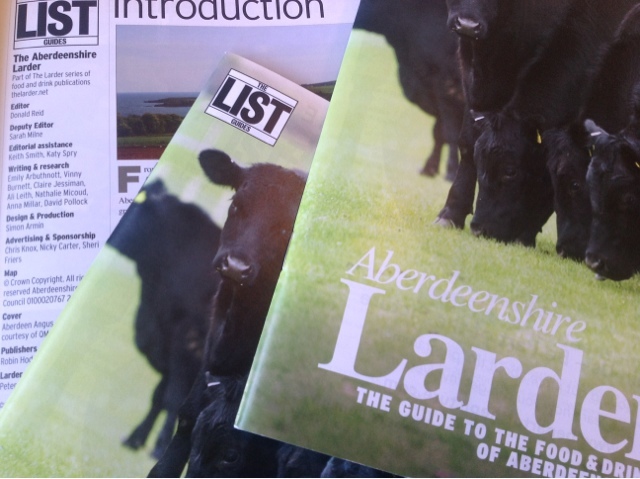 Great day by the looks of things, thanks for pointing me in the direction of Hazels list of Scottish food festivals. Oh and thanks for the mention! Thanks so much for the mention of Crail Food Festival. Look forward to meeting you there. Sorry our chocolate strawberries proved so popular they were all gone when you got to us! Meal Planning Monday - Can you believe its June? !